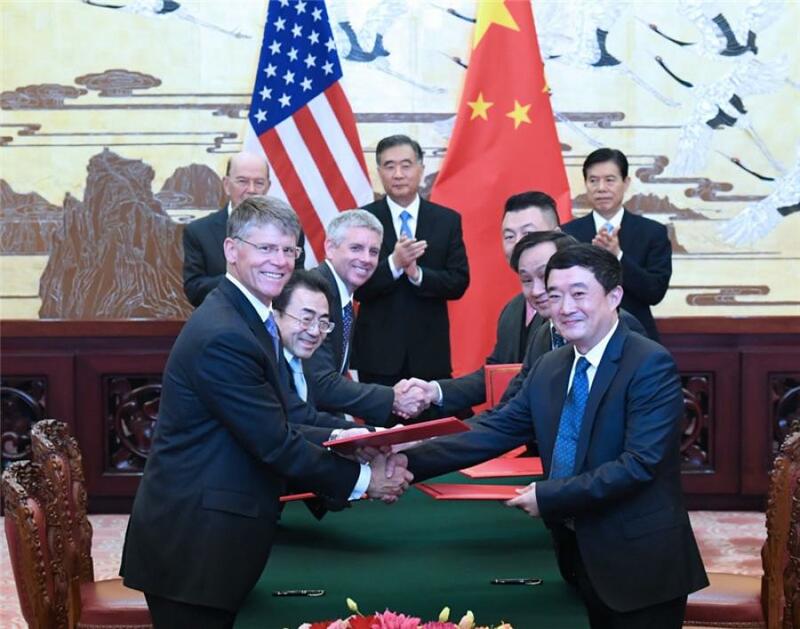 Terex Utilities and its dealer Xuzhou Handler Special Vehicles Co. Ltd. have signed a letter of intent for Xuzhou to purchase 5,000 units of insulated aerial devices from Terex over a five-year period, with a total value of more than $250 million. These products will support the continuing improvement and ongoing adoption of live line work practices in the Chinese public utility sector. The signing was completed during President Donald Trump's visit to Beijing. John Garrison, president and CEO of Terex Corp., was among 29 U.S. business executives and officials joining Trump and Secretary of Commerce Wilbur Ross on the U.S. Trade Mission to China. The trade delegation was assembled by the U.S. Department of Commerce, which sought to include companies that had developed significant business deals with Chinese companies. “It's been an honor for Terex to participate in the Trade Mission,” said John Garrison, president and CEO of Terex Corporation. “The visit helped us renew our longstanding relationships in China and to build new ones. We thank Xuzhou Handler for their business and look forward to working with them and with other customers and prospective customers in China to continue to advance safe work practices for working at height and on live lines. In so doing, we expect that all involved will benefit from expanded business opportunities. Terex Utilities has partnered with Xuzhou Handler for several years, working with them to develop and implement best practices for live line work. “Proper equipment selection and operation can contribute to delivering reliable power in China,” said Clint Weber, vice president and general manager of Terex Utilities. Since 2013, Terex has organized a series of safety focused reverse trade missions in the United States, which included facilitating safety standards and regulations in China. Recently, delegates from 14 Chinese utilities visited the United States to participate in a two-week training program inspired by Terex and sponsored by the U.S. Trade and Development Agency (US-TDA). This was the second time Terex Utilities has participated in USTDA's China Live Power Line Maintenance Reverse Trade Mission. During their visit, participants discussed grid maintenance practices and learned about equipment appropriate for these applications.